Those who suffer from the disease of the airways are called asthmatic. This is usually a long-lasting ailment in most of the cases, though in some patients it manifests intermittently. Whatever the case may be, what is crucial to note down is that the passages that are meant to carry the air from and to the lungs are not healthy. The inner lining of these airways gets inflamed or swollen due to various reasons, obstructing the smooth functioning of the respiratory system. With the narrowing down of the air-passages the amount of air required for breathing reduces, causing extreme discomfort. Allergy is the most common cause of asthma. It has been seen that almost all of the patients suffer from some or the other allergy. The common allergens are fungi, dust mites, pollens and animal proteins. Allergic reactions also develop due to the antibodies present in the blood. Smoke of tobacco proves to be allergic to a few, while some others may suffer due to household fumes or paints. Some people suffer from hay-fever; this hay fever too can lead to development of asthma. 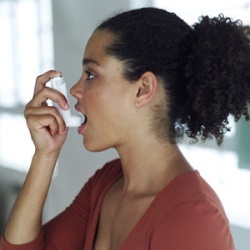 Environmental factors are known to be responsible for increase in the number of asthma patients. Air pollution due to vehicular traffic, release of polluted air from the chemical factories are also the chief causes. Children are the most vulnerable to asthma. The young ones or the newborn babies can get caught in the grips of this disease if they have been born with low birth weight. 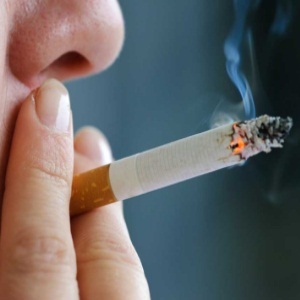 Passive smoking is another factor that causes asthma among the young ones. Asthma is an ailment of the respiratory system, the symptoms of which appear intermittently. One feels difficulty in breathing or breathlessness. There may be a feeling of tightness and heaviness of the chest since one is not able to breathe. 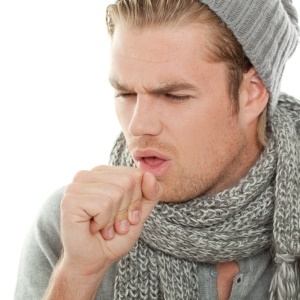 Some patients end up wheezing which is characterized by a whistling sound when one breathes. Additionally there are some who have bouts of coughing as well. The coughing is more at nights; hence the patient is not able to sleep leading to sleep deprivation. Some of the patients experience the coughing in the night as well as in the morning. All these symptoms come up due to the inflammation of the air passages. There are many types of asthma. The main among them are the child-onset asthma, adult-onset asthma, exercise-induced asthma, cough-induced asthma, nocturnal asthma and occupational asthma. There is a severe type of asthma as well, which is due to resistance to the steroids. The child asthma happens due to the allergic reactions. If asthma comes around after the age of 20 years, it is called adult-onset asthma. Women are more likely to get affected than the men. Allergens may be responsible for this type of asthma, but not always. The Exercise-Induced Asthma can easily be recognized of you have been coughing during doing exercises or running. The inflammation of the airways does not allow the air to get in or out. The place of work may induce asthma, if your work place exposes you to chemicals, gases, smoke and dust to name a few.